These historical pigments represent the basic set of hues used in many Medieval and Renaissance paintings. The kit includes all the popular palette colors: blue, green, yellow, red, brown, black and white. 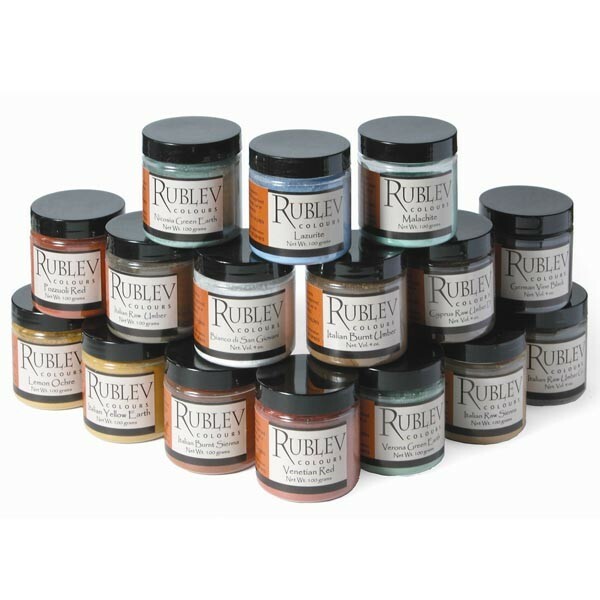 The pigments come in a boxed set that makes an excellent starter kit for painting, or as a great gift for the student. How Long Do Pigments Last? All pigments can be ground with distilled water and kept in the same jars under a layer of water indefinitely.